While rules for the Synod of Bishops provide for the men’s union of superiors to elect 10 voting members for the synod, there is no such provision for the women’s union of superiors. However, the pope does appoint women religious as observers or experts to the synods. 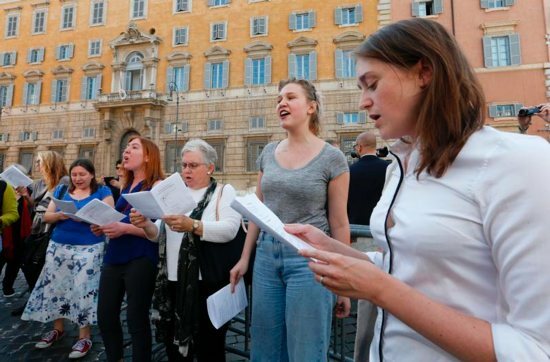 In fact, he said, with this synod focused on “young people, the faith and vocational discernment,” it would have made sense to have more women religious participating, given their work in the field of education, faith formation and vocational promotion. Father Arturo Sosa, superior general of the Jesuits, said he agreed with Father Cadore that “it is a Synod of Bishops,” but he also said he sees an effort by Pope Francis to “deepen the synodality of the church” and strengthen the vision of the church as “the people of God” by ensuring that men and women are treated equally and have an equal voice.